Our Personal Protection Review is designed to provide you, your spouse and family with peace of mind and financial security should either of you die prematurely, be diagnosed with a serious illness or be unable to work due to long term illness or disability. 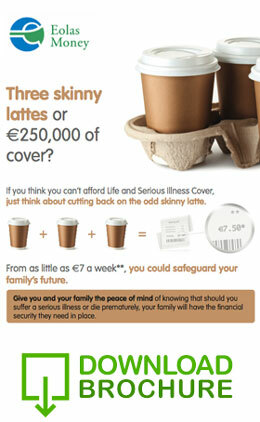 The financial consequences for any family should someone die prematurely, be diagnosed with a serious illness or be unable to work due to a long term illness or disability, is likely to be catastrophic. Such an event will likely result in the inability of your household to maintain the existing standards of living. In order to protect yourself and your family, and provide the ability to maintain the existing standard of living in the event of a medical &/or financial emergency, our Personal Protection Review is designed to inform you of the financial consequences of such events and assess the suitability of your existing protection plans in providing your family with sufficient resources to maintain existing standards of living. How Do I Benefit From a Personal Protection Review? Identification of your households required personal protection requirements. Presenting your Personal Protection Report to you. 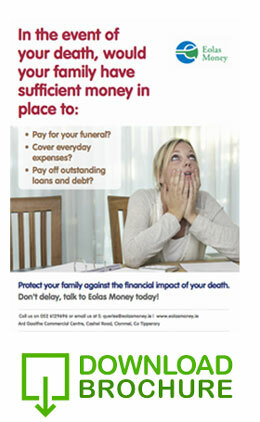 We are delighted we availed of the services of Eolas Money. 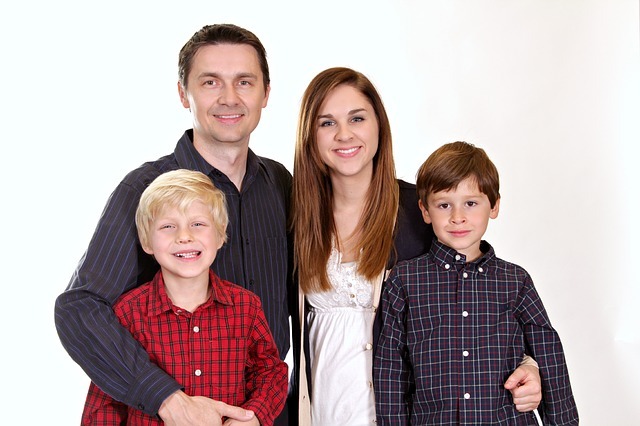 We found the service offered to us extremely thorough and professional. We received much needed help and advice on all aspects of our finances, now as a result we have a much better understanding of our tax affairs, pensions, health insurance, life insurance and investments and we are amazed and delighted by the savings we’ve made, we even received a tax rebate. Jim from Eolas Money met with us five times in our own home. During his visits he took the time to get to know us and to listen to our concerns about our finances. 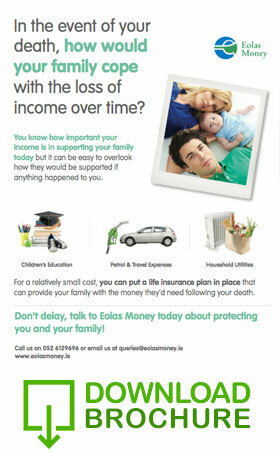 The decision to avail of Eolas Moneys’ services was definitely one of our better ones! We wouldn’t hesitate to recommend. Thank you! !